Dedicated to all that is good, true and beautiful, The Catholic University of America created a Catholic Arts Council designed to serve the University’s Benjamin T. Rome School of Music, Drama, and Art. The purpose of the Council is to ensure the future of the University’s outstanding arts programs by securing the resources needed to create and maintain an exceptional learning environment while providing the finest training available for emerging artists. Catholic Arts Council is designed to help guide the strategic vision for the future of the arts disciplines at Catholic University. Catholic Arts Council will unite the desires of like-minded leaders who have a passion for the arts and a commitment to the emergence of artists who serve the Church and the Nation. Catholic Arts Council will work with University Advancement to find the resources to support world-class programs in music, drama, and art. Catholic Arts Council will work with the University to facilitate a dialogue in the arts that is life affirming and sensitive to the ever changing social concerns of our diverse communities and the Nation’s Capital. Catholic Arts Council will play a major role nationally in shaping an identity for the next generation of culture producers grounded in the Catholic Faith. Increase the financial resources of the University’s artistic entities through personal philanthropy while identifying and introducing fellow arts supporters to Catholic University. Resources will be secured for scholarships, new facilities, fellowships, faculty/guest artist support and facility/production upgrades. Enable Catholic University to develop and maintain the finest faculty of artists and scholars and attract illustrious guest artists in residence while recruiting the most talented students. Assist in the career development of Catholic University students and alumni in the arts by working to identify apprenticeships, internships and young artists programs. Assist in the identification of partnership opportunities for the Benjamin T. Rome School of Music and the Departments of Drama and Art. Provide guidance in the strategic planning and implementation of long-term priorities in the arts and the University. 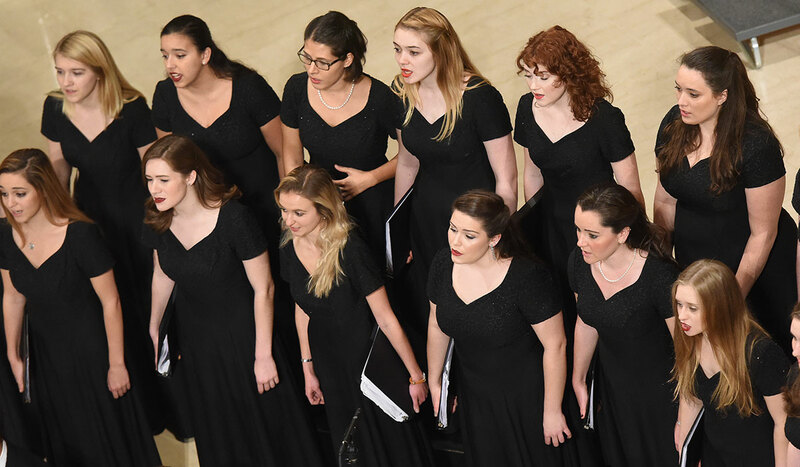 Provide opportunities for Catholic artists and Catholic programming in the arts while exploring Catholic and faith inspired themes in music, drama and art on a national platform.